I downloaded this from Gutenberg. It’s delightfully dull — all about buying and selling jewels (for friends and to pay back his own debts), complaining about Italian painters (rascals, all of them, except Giovanni Bellini), worrying about his mom (he was paying her rent as well as his wife’s back in Germany), and admonishing his kid brother (do not neglect your studies). For much of it Durer seems to be balancing his account book. “How many florins did I spend on dinner last night?” Benvenuto Cellini, he’s not. Very rarely does Durer mention art, except in its most mundane obligatory sense: “The German commune hired me to paint an altarpiece. I should be done in a month and should be able to pay you back then.” One month later: “Altarpiece taking longer than expected.” And, if Durer engages in any hell-raising, he’s discreet enough not to write home about it. Then there are the mundane details that I love: Durer dates his letters by church holiday as well as calendar day; he attempts to describe a parade he saw in Holland in honor of the Emperor… and it’s something else with costumes and each guild, society, and church group putting on their own display and a constructed dragon at the end surrounded by knights and ladies and led in chains. Definitely recommended for folks into unsexy travelogues and dull time travel (what, you’re not?) 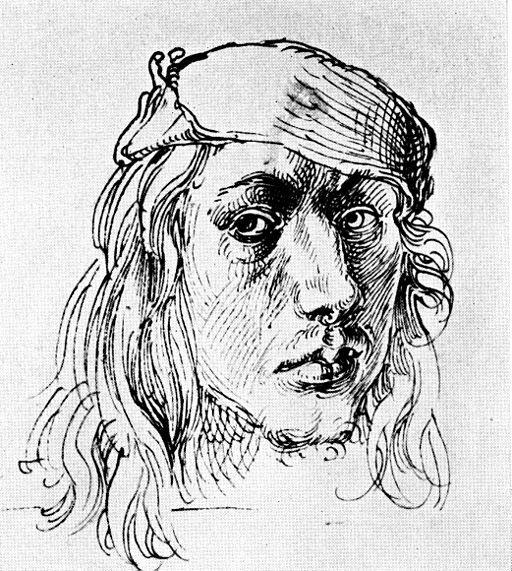 and who don’t mind having the occasional eye-glazing moment when Durer gets preoccupied with his accounting.